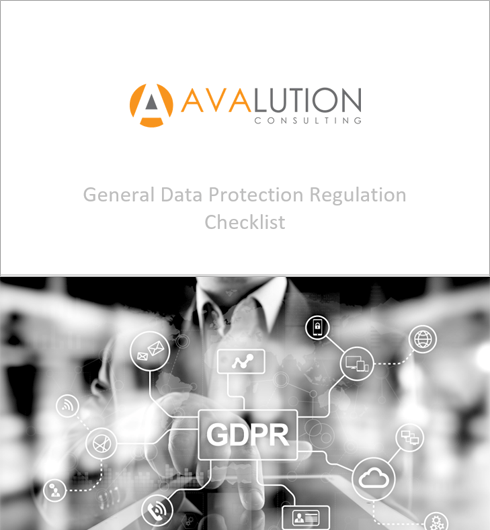 Avalution’s information security consultants will help you mature your information security program to meet the expectations of your board, partners, and customers. Many customers and regulations not only require that companies are secure, but also that they can demonstrate security through formal program assessments. If you have been asked to provide a SOC 2 report or ISO 27001 certificate, Avalution can help implement your program and prepare you for the audit. Annual penetration tests are no longer sufficient for managing risk. Zero-day vulnerabilities are the new normal and require continuous vulnerability management to identify and address risks before they turn into exploits. As vulnerability scanning software costs continue to decline, ongoing vulnerability management is becoming more viable for most organizations. In addition to performing one-time assessments, Avalution can help you implement a sustainable vulnerability management program. Do you know your data? While data is a valuable asset, it can also carry considerable cost. Many organizations are surprised to learn about the level of sensitive structured and unstructured data spread throughout their systems. Understanding where data resides and flows throughout the enterprise is the first step towards protection. Our automated tools will help you classify and quantify the risk associated with collecting and storing sensitive information. Moving to the cloud does not shift risk; it merely transforms it. AWS, Azure, Salesforce.com, Dropbox, ShareFile, and Office 365 are just a few examples of cloud platform and software services that have distinct client control considerations that, if not configured securely, can expose your enterprise to a significant level of risk. As a cloud software provider, Avalution’s consultants are experts in cloud security and can help you gain comfort that your cloud is secure. You finally moved from SSL to TLS. But, are your sites built using secure coding standards to prevent cross-site scripting and SQL injection? Code reviews just scratch the surface – our consultants will find the hidden vulnerabilities that can be exploited by hackers to compromise your most important web-based applications. Phishing and vishing are still some of the most effective means for compromising security. While technological solutions for combating these threats continue to evolve, employee awareness and training are still essential tools for preventing social engineering attacks from succeeding. Our phishing lab can simulate real-world attack scenarios, assess your organization’s diligence when confronted by an attack, and provide in-line training to violators. Awareness and simulations are a must, but next-generation tools also exist for mitigating cyber risk. We’ll help you combat the most common cyber-attack vectors with the right mix of solutions to ensure that your people are educated about risk and protected when something slips by. Don’t leave information security to chance. Avalution’s experienced consultants can help you understand exactly where you stand and decide if your risk exposure aligns to your organization’s risk tolerance.